A suggestion was made (by my daughter) that I ought to post my speaking engagements. Clearly the March 22nd date has come and gone, but more are in the offing. 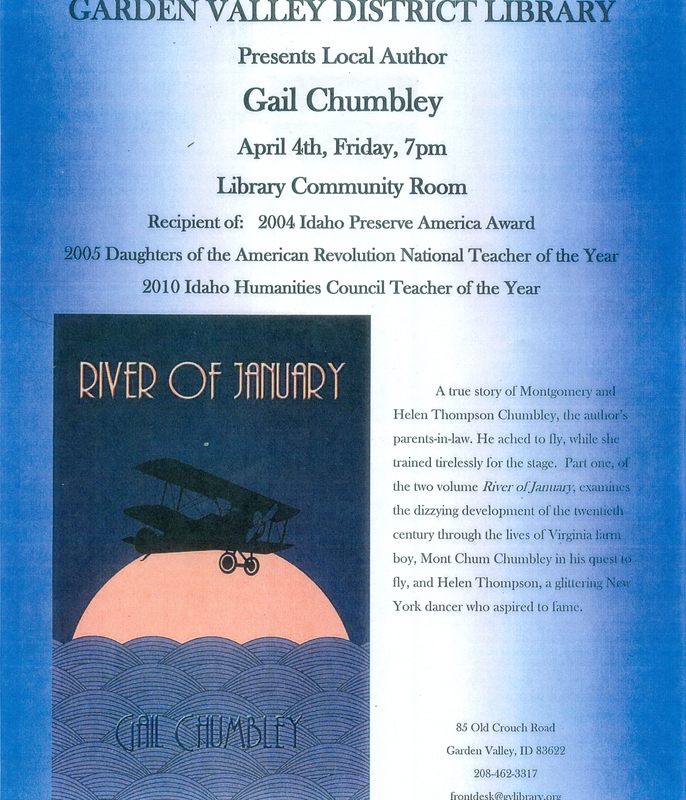 It’s fun to talk about River of January–there are so many dimensions to the story, so many avenues to explore! My program has been designed as a multimedia affair, with music, slides, and discussion. And yes, wine, if the setting is right for libations. We are still in the discussion-stage with other bookstores and libraries. As soon as those dates are set, I will update the times and locations.